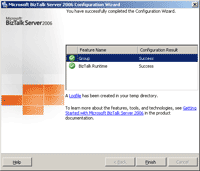 You’re configuring BizTalk Server 2006 which BizTalk databases are located on a remotely server. You may encounter the problem below. 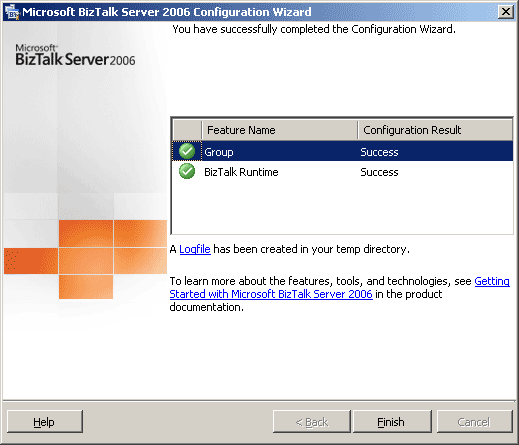 On BizTalk Configuration Wizard, Group feature is failed so others that depend on Group will failed, too. 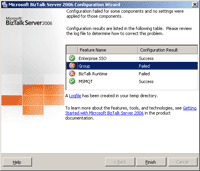 Failed to create SQL login for BizTalk Administrators Group on database server “Database Server Name“. 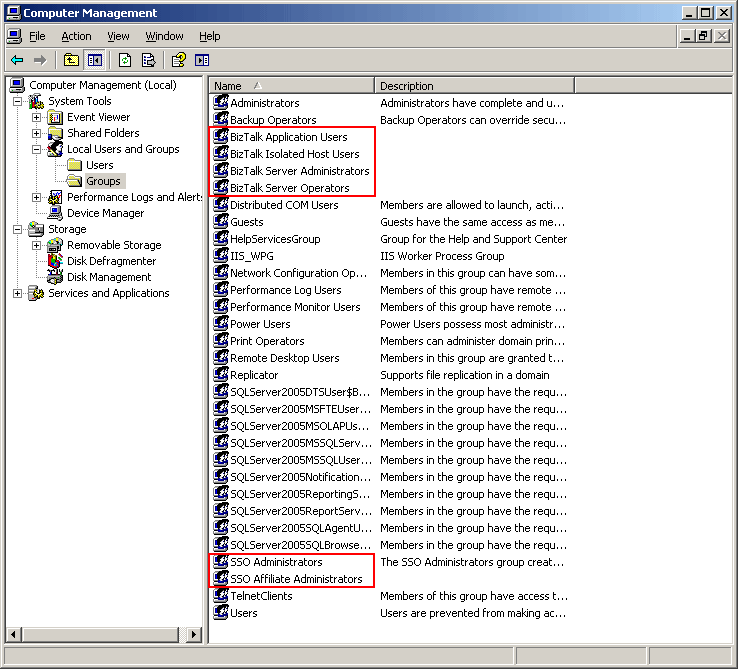 The DEFAULT_SCHEMA clause cannot be used with a Windows group or with principals mapped to certificates or asymmetric keys. 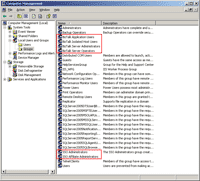 The solution is to create local groups on the database server manually, see the step-by-step below. 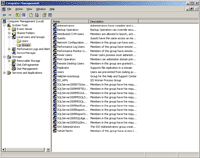 Open Local Users and Groups on the database server. 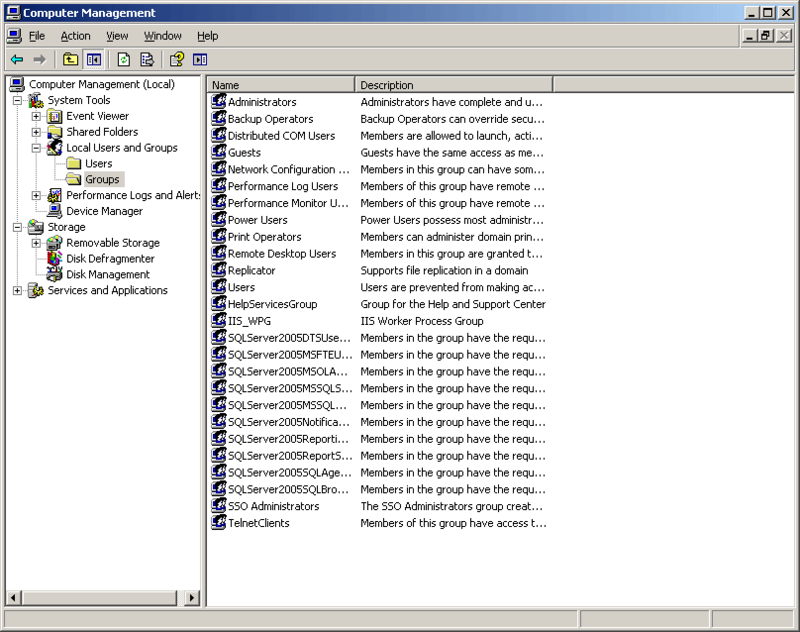 Right-click on My Computer -> Manage -> expand System Tools -> Local Users and Groups -> select Groups. You’ll see a list of groups on the server as the figure below. Create the following groups as figure below. Right-click on Groups -> select New Group -> type the group name. 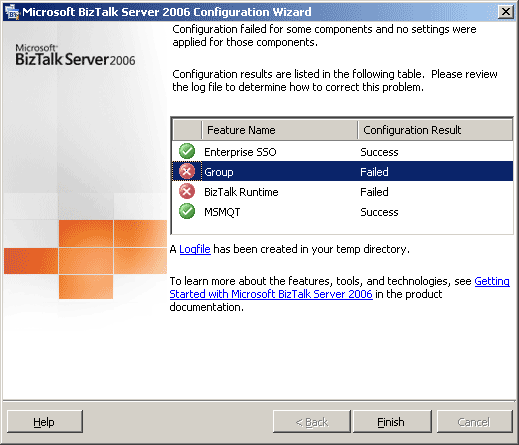 Re-configure Microsoft BizTalk again and the error is gone.